The most sacred relics of Lord Buddha from Taxila were taken back to Pakistan today after conclusion of a three-week long exposition at various locations in Sri Lanka. Minister of Sustainable Development, Wildlife and Regional Development, Field Marshal Sarath Fonseka, high government officials and diplomats from Pakistan High Commission were present at the Bandaranaike International Airport to see-off the Relics. 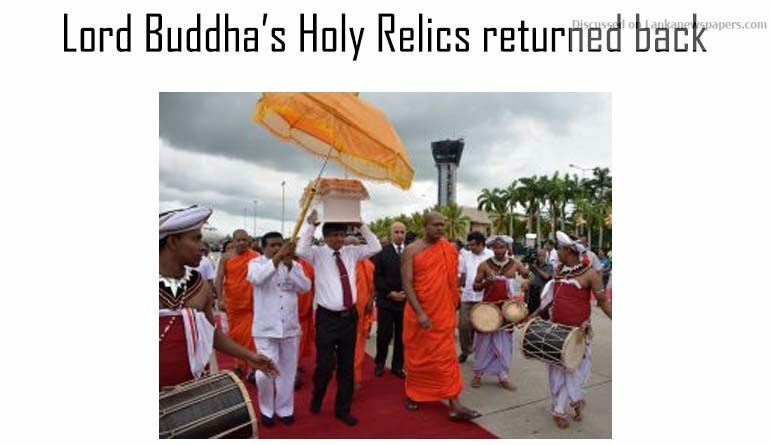 The sanctified Relics were sent by the Government of Pakistan on a special request of Sri Lanka in connection with the Annual Buddha Rashmi National Vesak Festival. During the exposition in Sri Lanka, millions of devotees paid their respects and homage to these Sacred Relics, excavated from Taxila, Pakistan. The exposition of the Relics commenced on 29th April 2018 by President Maithripala Sirisena and Prime Minister Wickramasinghe, amidst a large gathering of Buddhist clergy, scholars, Ministers, Parliamentarians and high level government functionaries at Temple Trees. 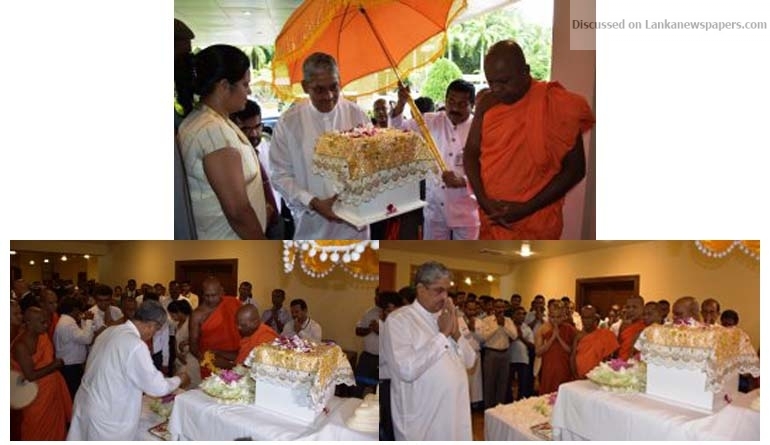 During the exposition, the Holy Relics were exhibited in different temples at Colombo, Wellampitiya, Kalutara, Galle, Matara, Kurunegalla, Anuradhapura and Kandy where hundreds of thousands of devotees visited the relics daily and performed religious rituals. These Relics were originally discovered near the Dharmarajika stupa, the earliest and largest Buddhist complex at Taxila, Pakistan which was built in the 3rd century BC in order to house the Holy Relics of the Lord Buddha by the famous Mauryan king Asoka who was also known as Dharmaraja for his services to Buddhism. Dharmarajika was excavated by Ghulam Qadir in 1912-16 under the directions of Sir John Marshall and A.D. Siddiqui in 1934-36. The advent and development of Buddhism owes a great deal to the ancient land of Pakistan. It was here that the religious activities of Buddhism reached its climax through well-organized missionaries and ultimately made it a world religion.